What’s the best way to jazz up your off-loom bead-weaving projects? With bead embellishments, of course! Embellishing with beads is a fun way to play with your design skills while learning how to create unique beaded jewelry. And there are so many different techniques that you can use for bead embellishing your favorite bead-weaving stitches, you’ll never run out of ideas or inspiration. 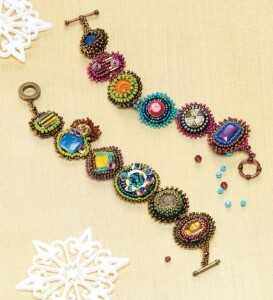 Spice up your beading projects and off-loom bead-weaving with fun and fanciful beaded embellishments! You can embellish just about anything with beads using techniques like beaded fringe and bead embroidery to add color and texture. Simple bead embellishment techniques can turn your favorite off-loom bead-weaving stitches into luxurious works of wearable beaded art with just a few passes of needle and thread, and simple crafts like an easy leather pouch are transformed into sacred objects with easy beaded fringe. Embellishing with beads is a fun way to play with your design skills while learning how to create unique beaded jewelry. 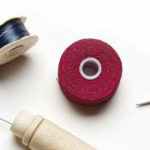 And there are so many different techniques that you can use for bead embellishing your favorite bead-weaving stitches, you’ll never run out of ideas or inspiration. Beaded embellishments like picots and edgings can be added to fabric, beadwork, or can even be added to embellish larger focal beads like gemstone, glass, ceramic, or polymer clay. 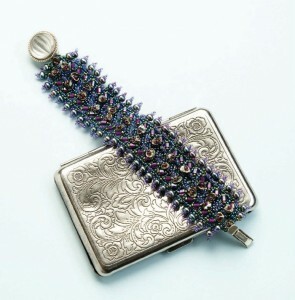 Want to try working with found objects in your beadwork? Using bead embellishment techniques like bead embroidery, edgings, and picots can turn your found objects into mixed media jewelry projects that you’ll be proud to wear. Beaded embellishments can take your ordinary bead-weaving to a whole new level, and give you more to explore in your beadwork. 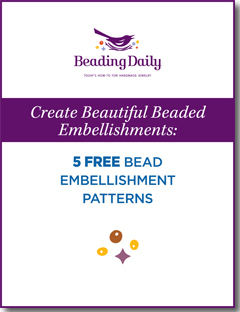 To help you along, we’ve gathered 5 of our favorite bead embellishment patterns into our latest free eBook, Create Beautiful Beaded Embellishments: 5 Free Bead Embellishment Patterns. These patterns include techniques like basic bead stringing, right-angle weave, and bead embroidery. Are you ready to dive in and learn how to incorporate beaded embellishments into your bead-weaving and jewelry-making projects? What’s inside our eBook on bead embellishments? Flat beads, buttons, cabochons, or other small found objects are transformed into a bright, colorful bracelet with Jeanne Barta Craine’s Memento Mosaic bead embroidery bracelet-making project. Mix and match small amounts of your favorite seed beads with beads and buttons and add easy beaded picots to this bead embroidery project. 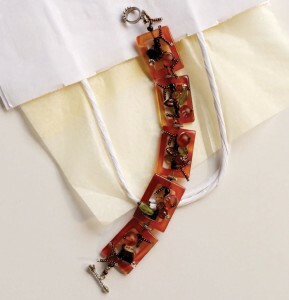 Ordinary gemstone frame beads become miniature works of wearable art with easy bead embellishment techniques in Eileen Feldman’s Wrapped in Rectangles bracelet. If you love embellishing gemstone beads, this is a wonderful place to start exploring all the design possibilities with basic beaded fringe. Do you love making beaded fringe? 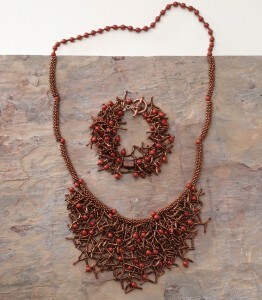 Linda Gettings’ Autumn Branch Necklace is a dream come true for anyone who enjoys working with beaded fringe! Easy peyote stitch beaded beads are embellished with lots and lots and lots of gorgeous, lush beaded fringe. Add accent beads of your choice for a stunning statement necklace. Right-angle weave never looked so beautiful as it does when it’s embellished with crystal beads in Lisa Kan’s Evening Iridescence beaded bracelet. These fun bead embellishment techniques can be used with other open-weave bead-weaving stitches to create endless design possibilities. Experiment with accent beads and even sequins for a one-of-a-kind look. 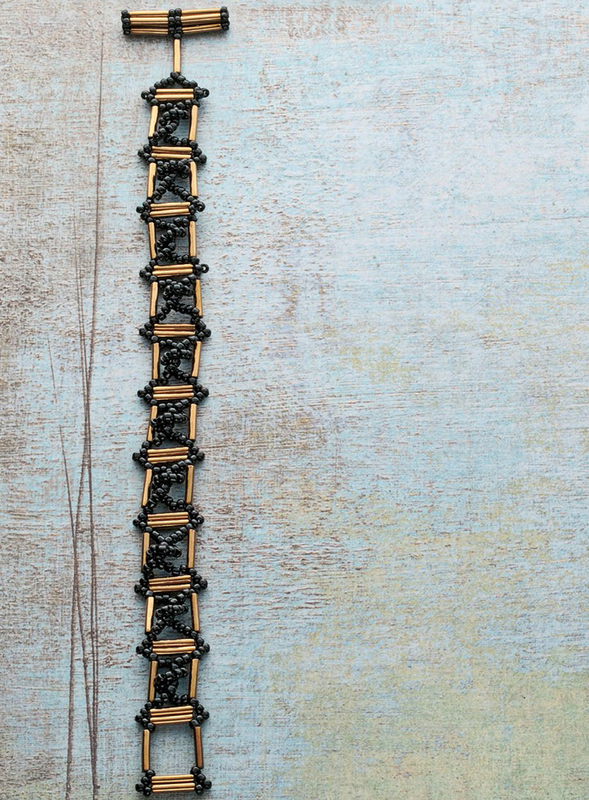 A single row of right-angle weave made with bugle beads becomes the foundation for a simple beaded bracelet in Jennifer VanBenschoten’s Wrought Iron for Your Wrist. Inspired by a decorative ironwork fence, this bracelet has the closure built right in for ease and comfort. The beaded embellishments work up quickly and easily and can be used for lots of other beadweaving projects, too! Surprise yourself when you see how easy beading techniques can be added to your beading projects for extra flair, color, and texture. With these five free beaded embellishment projects, you’ll learn how to create beaded fringe for beaded bags and necklaces, how to use beaded embellishments with gemstone beads, techniques for using bead embroidery to embellish found objects like buttons and bottle caps, and how to embellish beadwork like right-angle weave using easy beading techniques. Best of all, most of these bead embellishment techniques can be done using beads that you already have—they’re perfect for using up those little bits and leftover bags of glass beads that everyone has in their collections. Get your free beading projects today with Create Beautiful Beaded Embellishments: 5 Free Bead Embellishment Patterns, and learn how to use beading techniques in your jewelry! Beaded embellishments are what keep our beading projects interesting! You can learn so much from working them into your own designs and ideas. No beadwork need be boring when you have such a range of bead embellishment techniques to choose from. Just work up a sample of your favorite beading stitch, pick a beaded embellishment technique (or two, or three!) and start stitching.